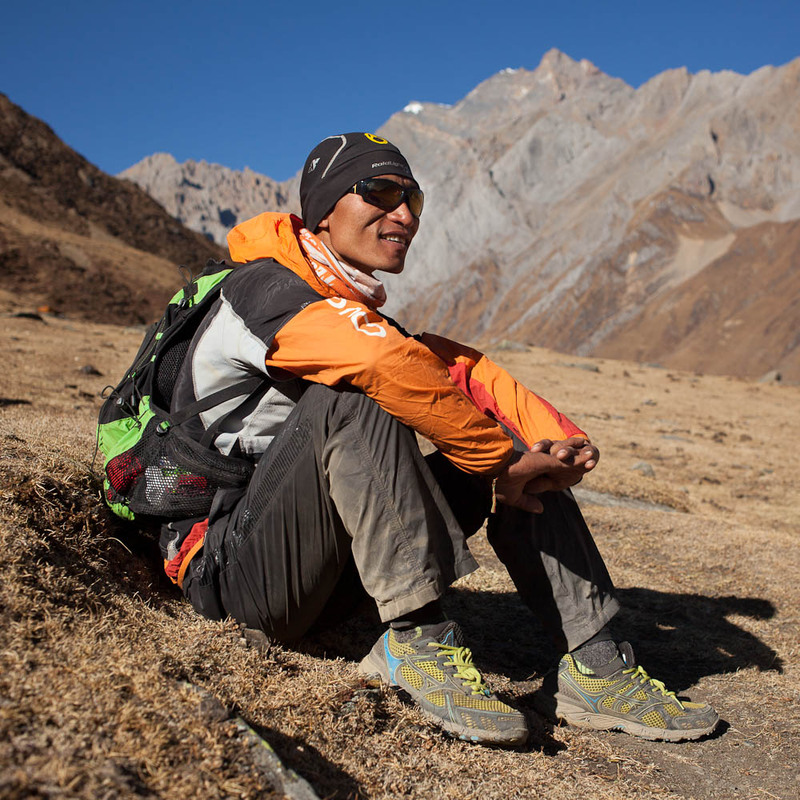 Upendra Sunuwar, despite having only started running a couple of years ago, is one of Nepal’s elite runners. Here is a picture of him in the Manaslu region after a trip to the border with Tibet at 4950m. He went on to win that stage race by a clear margin. Fun to run with a world class athlete! Upendra’s English is not fluent, but his understanding is good communication is generally not a problem. His rates are highly affordable at approximately US$30 per day excluding transportation, including nominal food and accommodation costs. Feel free to tip too! For Kathmandu Valley and the near by trekking areas, there are other young guys and girls who can show you the good trails on a morning run or a full day’s (or two, or three) outing. 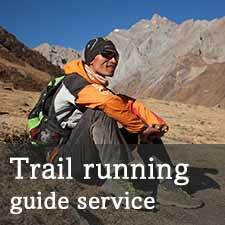 If you are interested in hiring a guide your running or fastpacking adventure, fill the form below and we’ll select the best person to help you. If you wish to hire a guide to show you the best trails, and help you get around, fill in this form! Let us know when you expect to arriving in Kathmandu. Briefly describe what you would like us to help you with i.e. a multi-day tour, a single morning run, accommodation, hilly runs or flat etc. Please let us know anything else you can think of! Then hit Submit! I’d like to go Nepal next February. And I’m going to run Annapurna 100 race. So I hope to fast trekking to Annapurna B.C. before race. That’s why can I make a resavation of Upendra? I usually running road races & trail races. *100 km road ultra marathon once a year. *sub ultra distance mountain race several times in year. I also climb mountains in Japan, sometimes overseas mountains. I went Everest bace canp & kalapatthar trekking in this March. Could you reply to my emails. I am both road and trail runner in Hong Kong. I would like to have trail-running training at Nepal,from 10/8-19/8,would u mind to be my tour guide that have a route good for training and how much will be the fee for the tour. I am looking forward to hearing your reply.Thank you very much! Thanks – I’ve sent you an email! I just talk to Matt Moroz, who is a good friend of mine and he told me that you might be able to help me out. I currently live in HK. My girlfriend and I are keen Ultrarunner/trail runner and are checking out places to go running for 5-6 days (25 nov-30 nov, 2014) and our eyes are at Nepal at the moment, however we would really love a local guide who can run with us and show us arnd and then at the same time we have a chance to support the local people/guide, which we will be very happy to do. -is there any trails near Kathmandu or do we have to catch another flight? -where do we sleep at night and how cold would it be in Nov? -do we have to bring our back pack with all our clothes etc., every day we go running or can we book a room where we can stay for 5-6 days? I will ask Upendra if he is free at that time, and there are a few others who could probably help.